Earth Aspire Corporation aims to fulfill the aspirations of start-up middle-income families in owning their first homes by providing American country-inspired communities where both the simplicity and comforts of life can be had and experienced. Where one’s hard work is rewarded with high value affordable homes of choice. 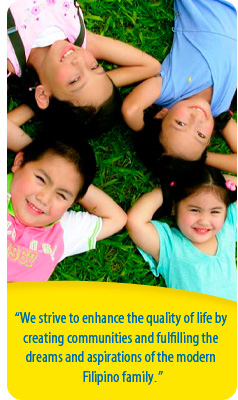 Earth Aspire projects are located in the emerging towns of Cavite and the booming community of New Biñan, Laguna.